Blandy’s story starts with the arrival of John Blandy to Madeira. 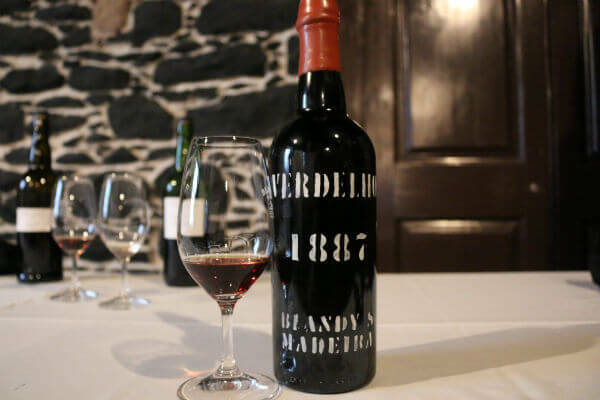 Two centuries of a traders’ dynasty whose important connection to the Madeira wine began in 1811 with wine exportation when the company got established. He bought the estate where today lies the old winery in Funchal – Blandy Wine Lodges. 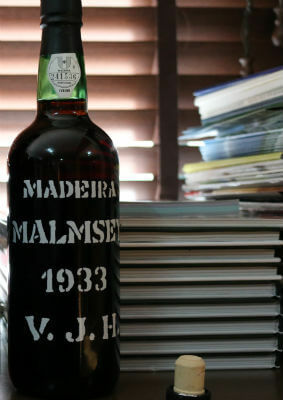 After the exportations’ decline due to the devastating plagues, first the Oidium Tuckeri in 1851 and then the Phylloxera in 1872, from the association of several wine exportation companies, in 1913, the Madeira Wine Association is born with the purpose of relieving the business’ associated costs. It was around then that a lot of those companies weren’t able to resist the less favorable times and ended up closing and selling their stocks to Blandy’s. In 1925 Blandy’s joined M.W.A. which in 1986 changes the name to Madeira Wine Company SA. Blandy Wine Lodges © Blend All About Wine, Lda. A remarkable story of a family that has played a significant role in the development of Madeira wine whereas at the same time expanding its activity to various other sectors such as banking, insurance, ship repairing… Two hundred years later Blandy’s remains a family business where Michael and Chris are the 6th and 7th generations to work in the business. 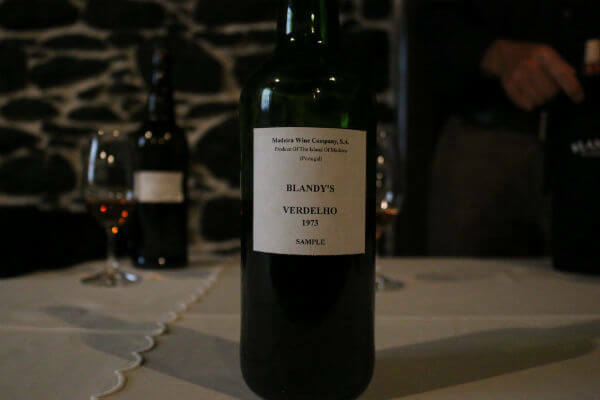 If in a previous article I stated that Henriques & Henriques were the first great Madeira wines that I had the chance to taste, Blandy’s were certainly those which through the years settled my liking and enthusiasm for Madeira wine as oenophile. Visiting Blandy’s was one of those special moments. 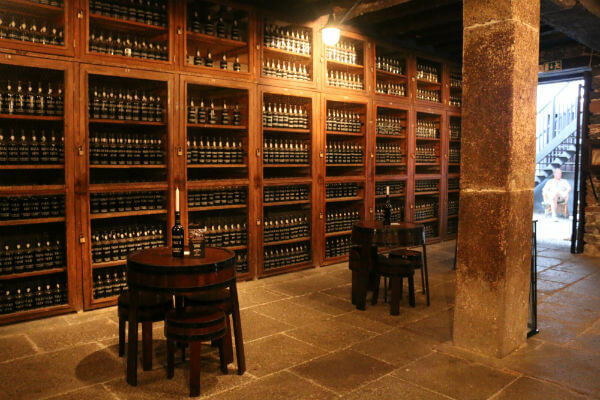 Really, just being sat there in that amazing tasting room is worth a Madeira trip. 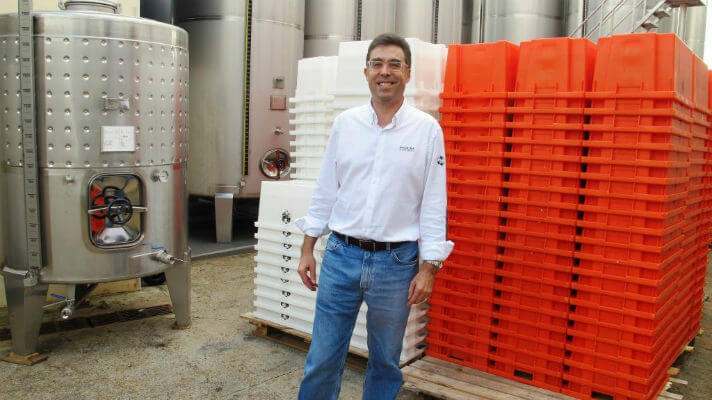 The tasting was in charge of one of the greatest worldwide oenologists, Francisco Albuquerque. It was a privilege to be able to have there a great lesson about Madeira wine with an included tasting. 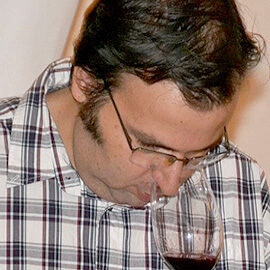 Francisco Albuquerque © Blend All About Wine, Lda. One of the great wines I had the chance to taste was the Malmsey 1988. This wine spent about 25 years in casks before the releasing of 1600 bottles to the market, in 2013. Stands out for the set’s freshness and exquisiteness as well as the precision and incredible detail which present well-defined aromas. Huge complexity and balance, candied orange from the get-go, fig, dates, tobacco, lots of spice, flowers with dry fruit in the background, the wine unfolds in layers. Conquers the palate with class, curry hints followed by raisins, fig raisins we can almost bite harmonizing perfectly with the nose. Great balance between acidity/fruit/sweetness. Blandy’s Frasqueira Wines Tasting Room © Blend All About Wine, Lda. Again and as usual, what stands out here is the fantastic elegance of the whole set, this piece of work as precise as watchmaking is the brand’s calling card. In this case it’s a Terrantez 1976 showing itself quite more elegant than the Terrantez 1977 when were tasted side by side. This wine’s complexity is astounding, all very delicate yet deep and complex, with curry hints in a chocolate and orange scrapes set, dates, slightly balsamic, toasted caramel, nuts, all wrapped up in a great acidity which joins an aroma of polished old furniture. In the mouth it’s a polite monster, slightly sweet on the way in, and then breathtaking with a freshness which invades the whole palate. Renews the nose’s sensations, has that bittersweet touch which tills the tongue until the very end, harmonizing perfectly with the fruit and acidity. Blandy’s Verdelho 1973 Sample Bottle © Blend All About Wine, Lda. The following wine is a perfect exemple that the Madeira wine needs and demands time. A Verdelho 1973 which is only now being released to the market. Another great wine of this house, initially restrained but a lot of complexity, unfolding in thin layers, cigar, passion fruit, freshness and liveliness in a set with plenty of harmony. The liveliness of the aromas stands out. The set impresses with the dryness in the palate along with a mix of a very slight unctuosity/sweetness which gives it a whole new dimension and puts this Verdelho in this house’s hall of fame. 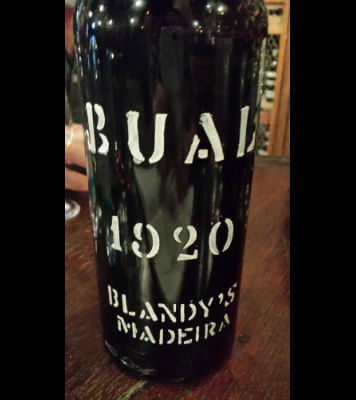 Blandy’s Bual 1920 © Blend All About Wine, Lda. It’s a stunning wine at all levels, it’s complicated for me to describe such enclosed emotion in a bottle every time I have in front of me, be it in the glass or the bottle. We’re talking about the mother of championships, this Bual 1920 has the rare ability to simply shut us up. We can be chatting but when it’s this 1920’s turn, people stay quiet, stare, smell the glass… stop, re-spin and smell the glass again, and with a smile start to ramble. The bouquet is some kind of amazing, concentrated, fresh, sinful, and again of a huge elegance. Starts with hint of lacquer, opens and then gives joy. Toffee, nuts, box of cigars, aromas wrapped in a fresh and slightly unctuous cape filled with dates, figs and candied fruit. All of this transpires to the palate which comes in at full steam, unctuous, lickerish to then show itself with great elegance, freshness and a very long and persistent finish. Unforgettable. Blandy’s Verdelho 1887 © Blend All About Wine, Lda. In 2011 it was identified a Verdelho which was laying in demijohn of 50 liters, a Verdelho 1887 that would end up being bottled in 2013. Stands out by its tone, with those beautiful emerald green edges which indicate a respectful age. The aroma is a huge party, starts with a hint of lacquer and then calming down and awakening to its fullness. A touch of old wood along with candied fruit, English cake, fig and apple-pie in a never-ending number of aromas the wrap it in a whirlwind of emotions. Stunning mouth, large, deep, tense and mysterious. Very good fruit presence regarding the nose, still clean and fresh. This is an 1887 wine that we’re talking about. Complements itself with caramel, orange peel scrapes, green coffee beans in a mix that combines the initial slight sweet and fruity touch with the dry and unctuous ending. The Declaration of Independence of the United States, signed in 1776, was celebrated with a glass of Madeira. But it’s not America’s third president (author of the Declaration), Thomas Jefferson, who springs to mind when I meet Paulo Mendes. 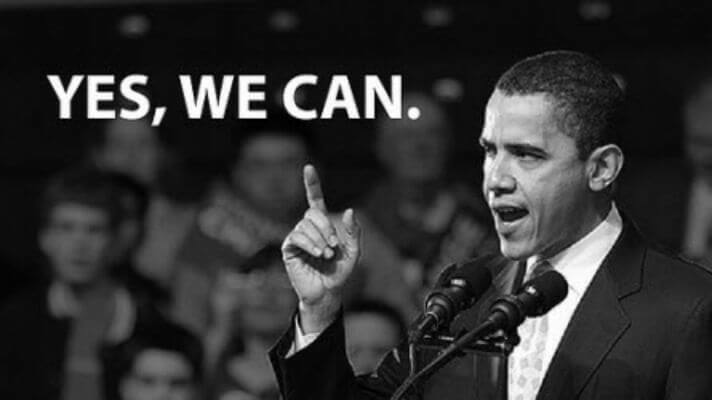 Rather, I’m reminded of Barack Obama’s campaign slogan ‘yes we can’. Though Mendes is referring to the handicap of recreating Madeira’s stylistic profile from young stock (where Madeira is largely a marriage of old and young wines), this lack of old wines almost proved fatal from a legal perspective (about which more below). 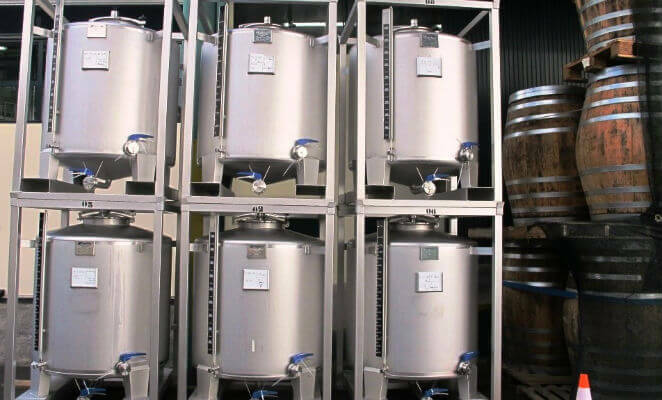 The law provides that even new companies must possess 120, 000 litres of Madeira. All in all it was hardly an encouraging start for this highly experienced management consultant who confesses, “at first I was the arrogant consultant who thought everyone was doing everything the wrong way.” When it dawned on him that “the wine business is one, if not the most difficult business I had ever seen in my life,” the man with a curriculum vitae as long as your arm went back to school between 2010-2012, completing MBAs in Wine Marketing & Management at Bordeaux Business School and in Wine Marketing and Winemaking at University of California, Davis. Still, he must have taken heart from his successful turn-around of Co-operativa Agrícola do Funchal (“CAF”), the supplier of agricultural and garden products which has been managed by the keen Madeira-born strategist since 1999. It was a cash surplus generated by this “profound” turn-around which encouraged CAF’s diversification into Madeira wine in 2008 (Madeira Vintners is an independent division of CAF). Mendes clearly thrives on challenge. 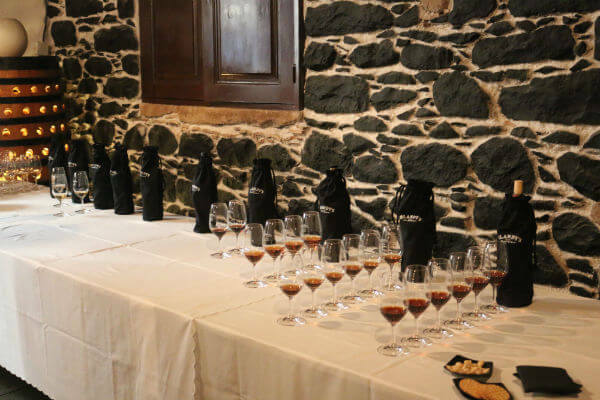 Naturally, Mendes’ plans initially revolved around either buying mature stocks of Madeira wine or acquiring an established firm so that he could comply with the minimum stock-holding regulations and produce Madeira wine from the off. Unfortunately, he tells me, none of the existing firms would sell him stock and “we lost all the acquisition bids,” most recently to Pereira d’Oliveira who acquired Barros e Sousa last year. It left him between a rock and a hard place. 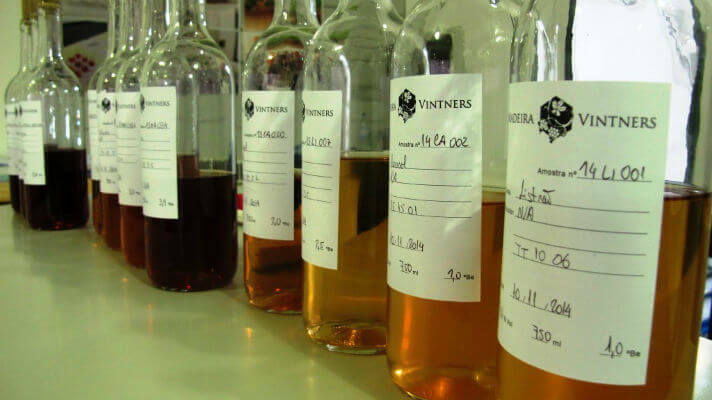 However, thanks to a bounteous vintage in 2012, Madeira Vintners was granted a special exemption from the stock-holding requirements for new companies; its first harvest that same year was processed at Barbeito’s winery. With a heavy sigh, Mendes says rumours then circulated that Madeira Vintners was a state-owned vehicle created to buy up grape surpluses. Rumours which must have been frustrating where, leaving aside the fact that Madeira Vintners (and CAF) is privately owned, they fly in the face of a key plank of Madeira Vintners’ strategy for success. Madeira Vintners is highly selective about grape sourcing. Elaborating on this strategy Mendes explains that he is betting on the quality and provenance of his raw material in a bid to differentiate Madeira Vintners from the competition. Alive to the stark reality that “either we have above average quality, or we are dead” it certainly makes sense where, with only young wines to sell, Madeira Vintners will be targeting entry level consumers whom Mendes believes are currently not well served. Dismissing many of the tourist circuit entry level 3 Year Old Madeiras as “not suitable for drinking, only culinary use,” he believes it is imperative for the island to raise the threshold of basic quality wines if new consumers are to explore the category and not to be put off by it. For this reason he has abandoned the traditional spot market in order better to control grape quality. In Mendes’ opinion, because the island’s predominantly small growers (many of whom are gardeners or farmers, not viticulturists) want to sell their grapes at the first opportunity and the agents who operate the market are paid by the kilogram, there is little incentive to let grapes hang until they have attained the correct sugar acid balance. 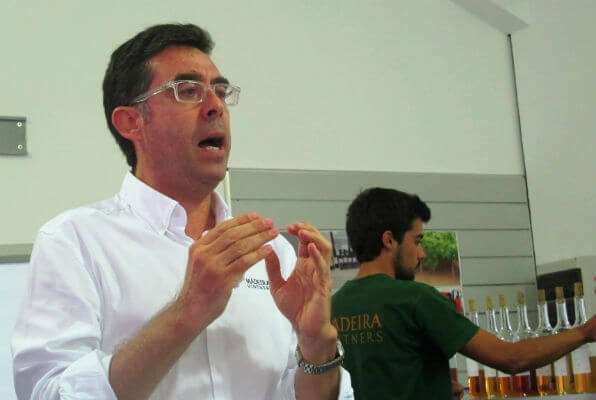 Too many grapes, he says, are picked at the minimum ripeness level (9% potential alcohol) and, for Mendes, who frowns on “Madeira that looks like Port,” these high acid grapes require unnecessarily high sugar additions. Cutting out the middle man, Madeira Vintners deals directly with larger, contracted growers who tend to be more professional. Still, Madeira Vintners works with them year-round to ensure that the vineyards are properly looked after and the grapes picked at the optimum time. In return for later-picked, riper grapes, Madeira Vintners guarantees it will buy all the grapes and pays its growers an above average rate. It’s not the only financial incentive for quality. Mendes also pays growers more if they keep down gluconic acid levels, whose formation is associated with botrytis cinerea (a mold). Too much and Madeira Vintners won’t even harvest the grapes. By adopting this small batch approach, Mendes is deliberately creating a point of difference from the competition. As he pragmatically puts it, “to survive and bring complexity we are working with as many lots as possible in the vineyards,” including Listrão (a.k.a. Palomino) and Caracol from neighbouring island, Porto Santo, whose calcareous soils differ from Madeira’s volcanic terrain. Keen to court a new audience where, he concedes, traditional connoisseurs are not his natural constituency, Mendes is aiming “to bring to the Madeira enthusiast a new approach where ‘terroir’ matters.” He is even considering labelling wines by the grower and/or the vineyard. Terroir-driven complexity is one thing, but what about the unique age-derived intensity and complexity of premium Madeiras (Five Years Old upwards)? 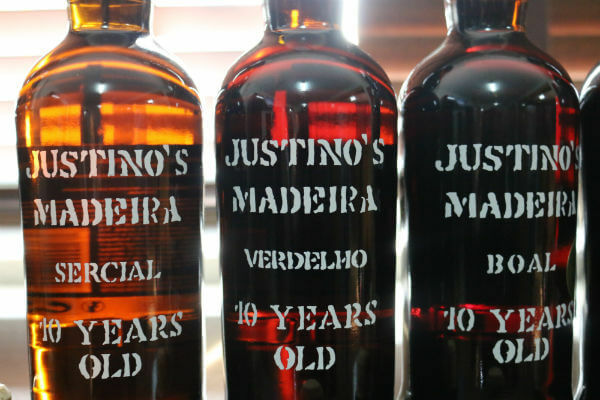 These characteristics (traditionally the function of years of oxidative cask-ageing) define Madeira and are a pre-requisite to obtaining the Madeira Wine Institute’s seal of approval. Will time remain Mendes’ enemy until he has accumulated stocks of old wine? 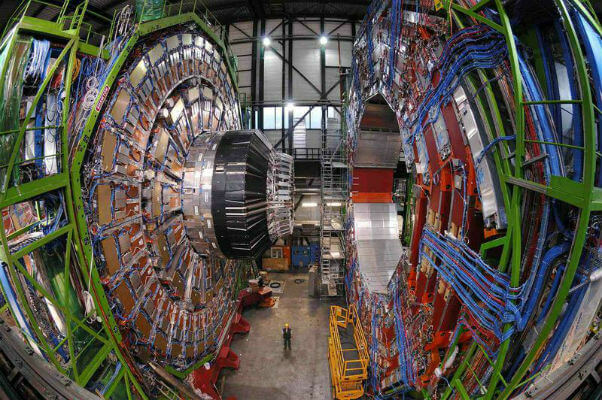 While asserting “just because we’re a new company doesn’t mean we don’t believe time is key,” Mendes believes he has found a work-around – his very own Madeira wine particle accelerators. 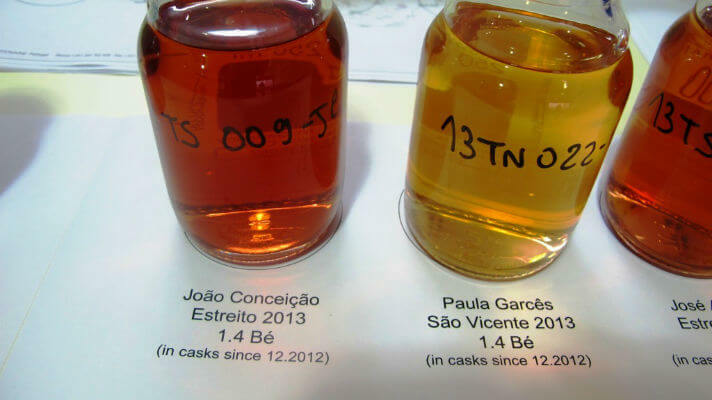 Essentially, it involves “using lots of different processes in the winery” which, if all goes to plan, will help attain the complexity and profile of five to ten year old Madeiras in just three years. 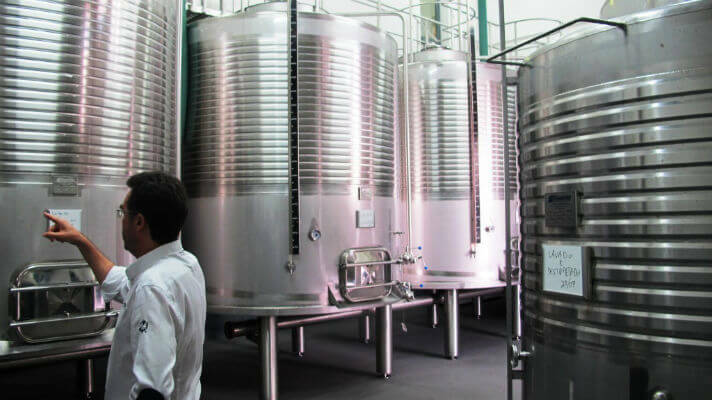 During fermentation, these techniques include cask fermentation, cold maceration, passing by flotation, full fermentation on skins and malolactic fermentation. It made for a novel tasting of 2013 wines which showcased how these methods can alter the profile of Madeira, sometimes dramatically. Cask fermentation introduced greater wood and cognac derived complexity (the barrels were sourced from Remy Martin). The bigger the barrel (they range from 350 litres to 600 litres), the better the oak integration. 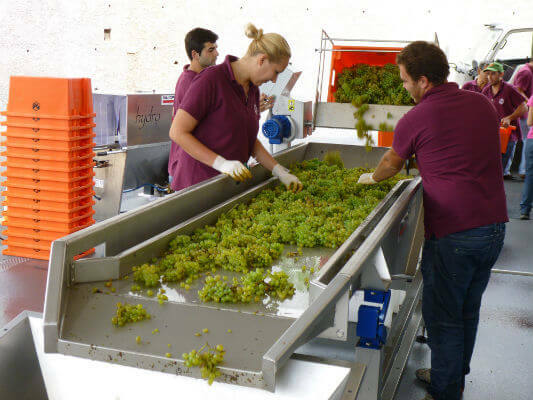 Cold maceration on skins for three days before fermenting produced a darker, spicier, textural, rounder, seemingly more developed Malvasia. A 2014 vintage Caracol fermented on skins is much darker and more intensely fruity and spicy. It was also fascinating to see the difference between wines fermented with temperature control (20 degrees Celsius) or without. The former produced a much better balanced wine with more fruit and fragrance to balance the alcohol. While up to 10% of wines are being conventionally canteiro (cask) aged for the minimum five year period, Mendes has departed from tradition when it comes to the estufagem process of heating the wines in tank (traditionally wines are held for three months at 45 to 50º Celsius). 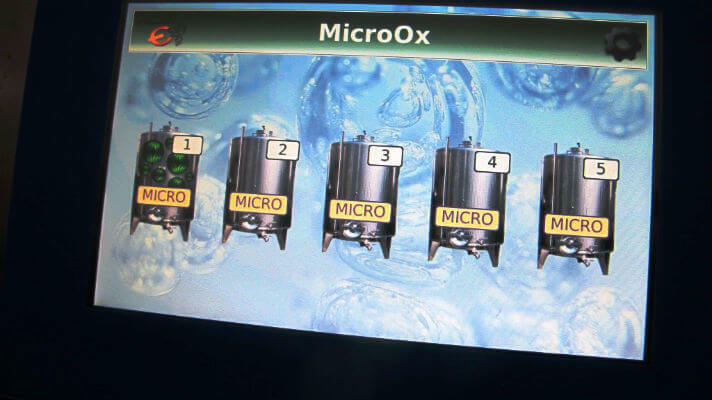 His more differentiated approach seeks to introduce greater complexity – different blending options – via different estufa sizes (40.000 litre, 10.000 litres and 1.000 litre) and heating the estufas to slightly lower temperatures than the norm, with slower temperature variations over longer periods. The aim is to mimic the cargo hold ageing of old when Madeira was shipped across the equator and back to achieve its signature scorched earth (madeirised) tang. 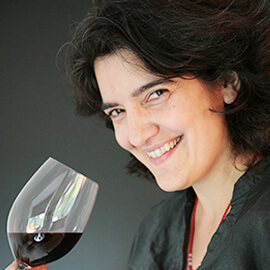 Mendes is also banking on the use of micro-oxygenation during the estufagem process to replicate traditional cask oxidation. 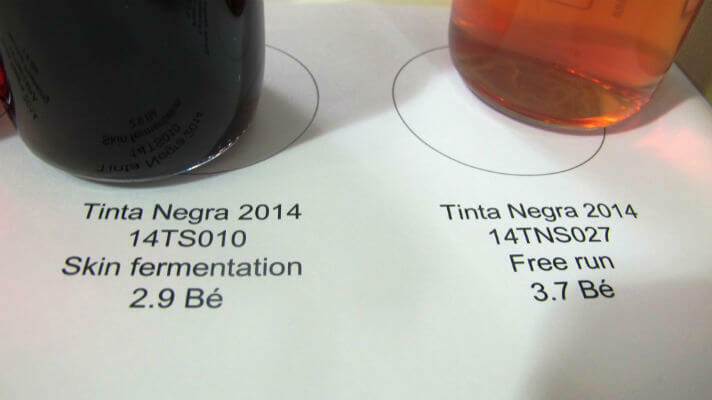 Of those 2014 samples we tasted, those which had received oxygen management were rounder – more precocious. With no wines yet to show for his efforts the question on everyone’s lips is can this underdog swim against the tide of tradition, or will Mendes risk becoming a beleaguered messiah like the current US President? Only time will tell but, as they say, no guts, no glory. I’m looking forward to tasting Madeira Vintner’s first releases. They are currently scheduled for 2016 provided that Mendes (and select customers) think they are ready. Where fortified wines struggle to remain relevant to generation X and Y, Mendes’ fresh perspective on Madeira – terroir-driven, complex but clean wines with balanced but lower alcohol (18 degrees maximum), lower sugar and acidity – is surely a welcome development. The wine tradition in Madeira is secular. It all began in the XV century when Infante D. Henrique ordered the plantation of the Malvazia/Malmsey vineyards imported from Greece. Over 500 years later Madeira wine became one of greatest Wine World icons, as much by its longevity as by its quality, being present on important events such as the United States Independence Declaration on July 4, 1776 e.g..
On the recent trip to Madeira one of the the visited companies was the “Justino’s, Madeira, S.A.” created in 1953 whose founder was Justino Henrique Freitas in 1870 when it was still a family business, known as Vinhos Justino Henriques (V.J.H.). In 1981 Sigfredo da Costa Campos acquired the company and amplified its value with the purchase of Companhia Vinícola da Madeira’s stock. In 1993 associates to the french group “La Martiniquaise” and in 1994 moves out of the downtown facilities to the Parque Industrial de Cancela where it lies till today. With his death in 2008, the French group took hold of the company’s full control. 10 years lineup (Sercial, Verdelho, Boal, Malvazia*) © Blend All About Wine, Lda. The tasting, excellent by the way, was held on the current and modern facilities which gave me some longing feelings of that atmosphere so characteristic of the oldest wineries where the passage of time has taken its toll. Fortunately, with the help of the served wines excellency, the nostalgia disappeared almost immediately. Before pinpointing the ones I enjoyed the most, a small note about the “Justino’s 10 Anos” better known varieties (Sercial, Verdelho, Boal, Malvazia). Wines which present us an above average intensity and maturity. It’s from this point on that the “Madeira World” starts to be probably better understood, wines where the set’s harmony blends into a more mature bouquet making us aspire to higher stages. Justino’s Terrantez Old Reserve © Blend All About Wine, Lda. The Terrantez is a rare and nearly extinct variety, filling its wines with a mystery and fascination cape. We’re before a wine with over forty years, some nuances such as the greeny traces on the rim indicating it might as well be older than that. A concentrated and deep wine, some iodine notes, curry, lacquer, old cask wood, dried fruit with english cake, exotic and mysterious. Mouth with an involving entrance, lining the palate with an unctuous aftertaste of nuts and almonds, orange jelly, and a great elegance along with a conquering acidity’s in a great and long ending. Justino’s Sercial 1940 © Blend All About Wine, Lda. It’s the one needing the most time to develop and have presence in bottle, due to the high acidity which the variety conveys to the wines. My favorite of all with a lot of sea notes, lots of salty almond, lacquer, complexity and elegance, honey with an orange crystallized peel and at the same time exhaling a sharp freshness that tones the whole tasting. Great palate presence with a slight dried salty fruits greasiness. Iodine, citrus zest, plenty of emotion and flavour and once again an acidity focus, presenting an unforgettable wine! At all levels! Justino’s Verdelho 1954 © Blend All About Wine, Lda. A wine wine exhaling both freshness and energy, complexity in droves in a dense and even quite pinched set at the start. A touch of ripe lemon jelly, green tea, flowers bouquet along with nuts. Plenty of life in a dry and strong set. Mouth contrasting the aromas, full of flavour with remarkable notes highlighting a dryness that revitalizes the palate and invites to one more gulp. Always with plenty of flavour and a soft unctuous touch in a wine with a spicy and huge ending. Justino’s Malmsey 1933 © Blend All About Wine, Lda. A great wine, showing why there’s no comparison to the great Madeira’s! The longevity cohabits with a complexity/freshness hard to find anywhere else. This is one of the great, those that win us over immediately. It feels, by the variety’s nature, that is sweeter and “heavier” than the previously tasted wines. Great complexity with milk caramel, fig raisins, lacquer, dried fruits. An elegant set with the necessary acidity conferring it plenty of life, ground coffee, box of cigars, spices. All pronounced in a perfect harmony between mouth and nose. Unctuous and fresh palate passage with a tiny tip of sweetness in the ending making it sinful.